Jägermeister is counting down to All Hallow’s Eve with a series of 17 parties to be held on four days over the next two weeks. The “spine-tingling” events will see partygoers dress up in their best costumes and participate in games on 26, 27, 30 and 31 October to win passes to the main event on 2 November at Carcosa Seri Negara, which will feature performances by Mad Sally. 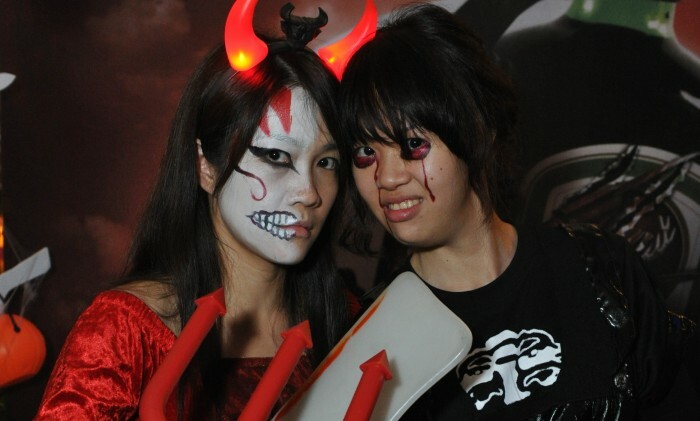 “The idea of the event evolved from what Halloween means to Malaysians. Their interpretation of the festival is getting friends together, letting their hair down for a night dressed in their best spooky costume and enjoying the party atmosphere,” said Pearl Lai, senior manager of group and marketing communications for Carlsberg Malaysia. Lai adds that Jägermeister, distributed by its partner Luen Heng F&B, fits this very essence of Halloween and is regarded as a festive drink, being famous as a party shooter and cocktail mixer. The brand is taking to Facebook in telling fans about the event, through the Jägermeister Malaysia and Carlsberg Malaysia Facebook pages. This year’s Jägermeister Halloween party, the first of an annual event, runs with the tagline ‘The Beginning’ and will greet partygoers with gothic and spooky props and frightful-looking scarecrows, apart from face painting and games. To advocate responsible drinking, Carlsberg Malaysia is organising a shuttle service from KL Sentral to ferry guests to Carcosa Seri Negara during the final wrap-up of the Jägermeister Halloween party so guests can avoid drink driving. Marketers in Singapore have again crowned Ogilvy as their most preferred agency for creative advertising services for yet another ..
National Heritage Board has appointed Ogilvy & Mather to provide public relations services. The agency will also be tasked to ..